Windermere accommodation within 20 minutes of the lake shore. 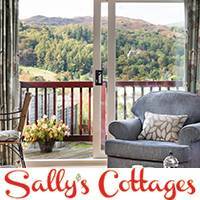 From simple campsites and hostels through self catering holiday cottages, traditional and boutique b&b’s, lodges, holiday parks and Lakeland Inns to luxury spa hotels. For alternative places to stay in Windermere try Glamping. From yurts and tipis to luxury camping pods and more. Or hire a Motorhome and tour right around the South Lakes. Breaking Windermere accommodation down to price per night, the price indications below are specific to places to stay in Windermere and the surrounding area and are for peak season which is school holidays, Christmas, New Year and bank holidays. In the quietest season prices can drop by around 25 – 30 % and there are lots of special offers available. Special offers are often posted on the Visit Cumbria facebook page. Probably the most popular choice of Windermere accommodation, there’s a plentiful range of comfortable b&bs and guest houses but even these can become fully booked on Bank Holidays. Prices are for a room for 2 people including breakfast. Many hotels around Windermere lake are converted from the grand mansions of the Victorian era. 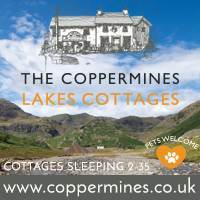 Some ancient Lakeland Inns have now been upgraded to beautiful and atmospheric small hotels. Prices are for a room for 2 people including breakfast in. 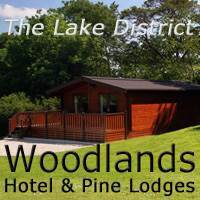 Self catering places to stay in Windermere and the surrounding area. Price are based on a 7 night stay in peak season, the equivalent nightly price increases for short breaks. Luxury cottages or those in highly sought after locations can cost considerably more. Rapidly becoming a more popular Windermere accommodation choice, Glamping sites are located in some of the most beautiful parts of the South Lakes. Book early for peak season availability. Prices are for the whole unit per night, based on 3 or 4 night stays. Expect to pay a slightly lower price per night for 7 night stays at most glamping sites. There are both YHA and independent hostels around Windermere lake. Accommodation ranges from cheerful town centre hostels to unique off-the-beaten-track historic houses in stunning countryside. Facilities are generally excellent. Prices are per night. Very popular places to stay in Windermere with water sports and boat launching facilities, several Windermere area holiday and lodge parks are set actually on the shores of the lake itself. Prices are based on a family of four and a minimum stay of 3 nights weekend or 4 nights midweek. Campervans are around £79 per night and Motor Homes £155 per night based on 7 days hire. This includes insurance and mileage.